I've been drinking a lot of beer from New York lately. Not surprisingly, something named Brooklyn is made in New York. Specifically, it was made in Utica. It is a pale gold. It's not pale like a Rolling Rock or something really, really pale. The head sticks around in a good amount - kind of clumpy, but not unattractive. The aroma is strong with malt and a bit of hops. I expected more hops from an ale, and a summer ale typically is lighter in color and taste, so I wonder what I should be expecting from the taste. 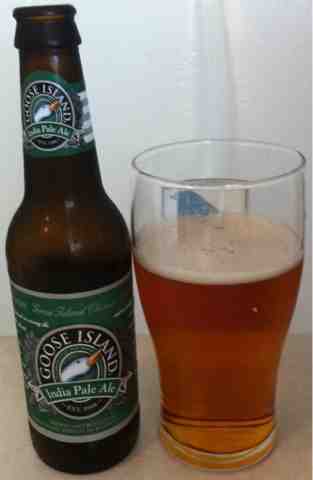 Goose Island exists. There are actually a few of them, but none of them are near Baldwinsville, NY. Not sure which one they have named their brewery after (I suspect the one in Chicago) and I'm not sure it really matters. I picked this one up at the local Whole Foods, so I know I paid too much and it is probably vegan or something. The beer is a very clear sort of orange straw color. The head is exceptionally thin, but it sticks around for a good while, and what head there is remains nice and thick. The aroma is hoppy, but it's got a bit of nut and even a hint of floral in there. The smell is not overpowering, and it doesn't waft it's way from the table beside my chair over to my nose like I look for in an ale. This is a dark superhero movie with some comedic elements. It's an indie film, so it's got a low budget, but the cinematography is really good, the directing is excellent, and the acting is shockingly good. 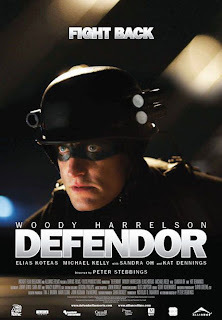 I mean, who would have expected Woody Harrelson to do this well? The story is about a mentally challenged man who has embraced life as a superhero on a low budget. Even though he's a simple person and a simple character, he is very endearing in his straight-forward interpretation of comic book heroes. For example, he drives a Mack truck - and he put a label for the truck right underneath the bulldog hood ornament that says, "Defendog." The door to his hideout is the Defendoor. Boy, Keri Russell has been getting a lot of work lately, hasn't she? She's in that show The Americans where she - oddly - does not play an American. Instead, she plays a Russian spy pretending to be an American. She's a mother of two in that show, and she's a mother of two here. 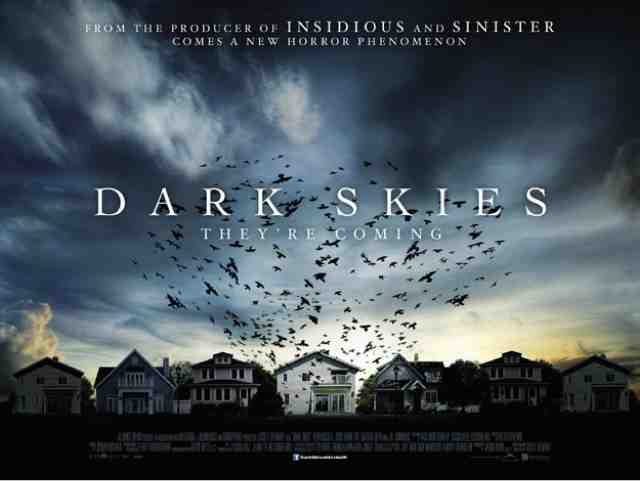 Please note that this has nothing to do with the Dark Skies TV show. So, we have a couple and their two kids who are going through financial turmoil and the marital stife that it comes with. Eventually, it becomes clear that one of the kids is having some kind of emotional issue... Supernatural? Well, the father doesn't think so, but as is so often the case in movies reality is for losers. I'm just... I mean... Really. Really, I'm trying not to make fun of their names. It's just that they put them out there like a big shaved scrotum. When you go to a bar, and they say they have "Blue Moon" on tap, this is the beer that they mean. After all, they don't want to say that they have Coors Brewing Blue Moon Brewing Company's Blue Moon Belgian Ale Belgian-Style Wheat Ale. The beer pours with a thin head that dissipates completely. I mean - it's gone. It's a cloudy straw color that is light but nearly opaque; once the head is gone, the effect is an unfortunate glass of very dirty dishwater. It has the familiar lemony aroma of a Belgian wheat. The aroma is strong - with the gentle AC breeze sending the sweet smell over from the table beside me. It gives me the occasional smile as I anticipate a nice beverage. As with pretty much all of the Blue Moon beers in this sampler pack, this has the short name that I used in the title, and it has a long name that no one should ever use, as their beer would be flat by the time you were done: Coors Brewing Blue Moon Brewing Company's Expressionist Collection Rounder Belgian-Style Pale. They didn't even have enough room left over to state that it was an ale. Seriously people, get a grip on your marketing department before they go any further down that rabbit hole. You know what's a good name for a beer? "Guinness Draught Stout." Somehow, they made that work for a number of years now. Remember when SyFy was SciFi? I'm not saying it was any better, but there was at least the concept of science being folded into the fabric of their fiction. Yes, you would still have atrocities like Sharktopuss or SuperGator, but imagine a world where they would use actual science in their movies. How awesome would that be? I'm pretty sure there are enough people out there with degrees in scientific fields that we don't have to rely on liberal arts degree holders to imagine a world with very real issues. The movie stars Robert Knepper. If you watched the last season of Heroes, you will remember him as the guy who could cause earthquakes. In is role, he plays an FBI agent who is (to put it mildly) unrealistic. I've known a few FBI agents, and this guy simply does not act like one. He acts like a writer would if he were an FBI agent; which is to say that he would never have gotten the job of FBI agent in the first place. Yes, this beer brings up a lot of questions. Let me answer the first: I got it because it was part of a sampler pack. I am not a huge fan of raspberries, elderberries, or any other berries in my beer. If you want to call me a purist, I wouldn't disagree, but there have been plenty of beers that I liked, even though they broke my rule. I'm not going to complain about the length of the name, as I complained the last two times. This time, I'll list the name without comment: Coors Brewing Blue Moon Brewing Company's Limited Release Blue Moon Blackberry Tart Ale. 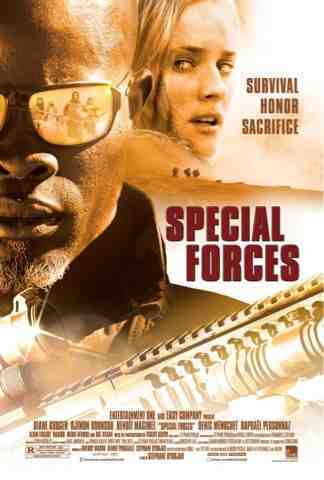 Lets get this out of the way right off the bat - this is about French Special Forces. No, they don't have lighter guns so that they are faster at dropping them. No, they are specially trained to retreat faster. I reject all the negative stereotypes about French fighting prowess. At least, I do for the length of this review. Again, Blue Moon isn't satisfied putting out a beer with a simple name. This one is properly called Coors Brewing Blue Moon Brewing Company's Seasonal Collection Blue Moon Agave Nectar Ale. That's a long freaking name. What's worse, it doesn't appropriately describe the beverage itself. They have to write in the description that it's a blonde wheat ale with agave. Really, wouldn't you want to lead with this? The head is light and effervescent. It dissipates quickly, but it leaves a thin layer behind to guard the top. The color is a deep straw and is very clear. The aroma is grainy - as you might expect - with a bit of malt. There's a hint of floral, but I expected more. I also expected more of a fruity aroma, but I'm not picking any up. What the heck is an agave, anyway? That's right, it's more like a cactus or something. 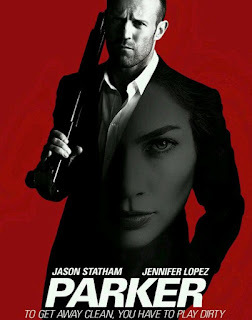 Despite Jason Statham's inability to pick a good script, I like him as an action actor. He's got a certain amount of machismo mixed with more than your average level of action star intelligence. His martial arts style is very aggressive, and it's generally simple. If only he could apply the intelligence that his characters demonstrate when he's picking scripts. Michael Chiklis doesn't really seem to have the kind of choices in scripts that Jason has. Still, he did well with Pawn, and I was looking forward to a nuanced character in Parker as well. Unfortunately, he didn't get a whole lot of screen time, and his character was written to be a soulless backdrop to the love story between Jason and Jennifer Lopez. I like Tom Hanks. I like Halle Barry. I like Hugo Weaving. I do not like Hugh Grant or Susan Sarandon. That is a decent list of A-List actors, though, isn't it? If only the movie could be long enough to give those actors time on the screen. Well, good news film fans; this sucker is three damn hours long. It's a rambling hodgepodge of dystopian future, wretched past, and ... I think there is a present in there, but its hard to tell. They toss you around from one timeline to the next in a hamfisted attempt to draw parallels between the storylines. It'd be one thing if I could understand what they were saying in each timeline, but the broken English in a few of them was pretty much indiscernible. Honestly, I just don't know what they were going for. At one point, the British guy who has been made up to look somewhat unconvincingly Korean goes all Neo on everyone. Not sure how, and not sure why. That's not even the full name. The full name is really Blue Moon Brewing Company's Expressionist Collection Short Straw Farmhouse Red Ale by Coors, and that is quite a mouthful. Hopefully, the beer will live up to its name or at least the size of its name. It is a very, very deep amber color. The picture here doesn't even do it justice; it is very hazy, and light has quite some difficulty getting through it. It builds a head quite nicely, and a thin layer sticks around as I drink it. The aroma is grainy and almost sweet - definitely a sense of citrus about it, too. I take a sip, and it's not immediately quantifiable. there's a bunch of malt there that I didn't expect. It's not bad, but it's jarring. the smell was sweet, but the finish on this is tart. No ifs, ands, or buts - this is a really odd beverage. It has a lot of a straw taste mixed with all that malt. I'm going in for another heap of drink. Wish me luck. Uwe Boll is the worst director of our time. He has been responsible for some of the most heinous movies to have stained the silver screen. Until 2005, there was a loophole in the German tax law that would allow someone to finance a movie and net a loss while still profiting. This is why the horrid failure of a movie, Bloodrayne, cost $25million to make and raked in $2.42million, yet it spawned two sequels. Well, that time has passed. 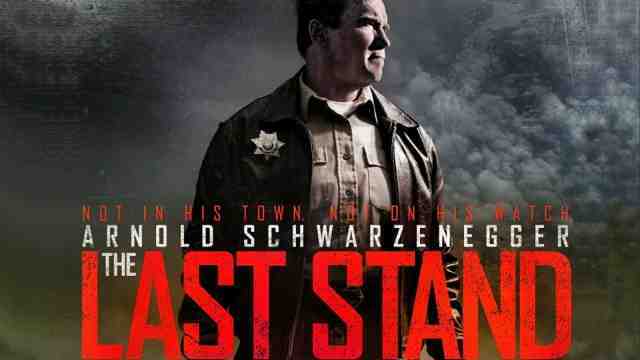 So, Uwe will have to try and make decent films now. I suspect he will not be able to. The only reason I watched this one was because I saw Rampage, and I actually liked it. This one had some positive reviews, so I figured I would give it a shot. 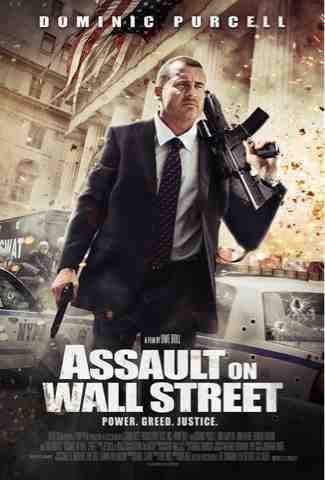 I'm guessing the positive reviews were because Uwe only directed the film, he didn't write and produce this one. Do not confuse this with the 1993 film of the same name starring Nicholas Cage. Nor should you confuse it with the 1968 film of the same name starring Michael Caine. This one has nothing to do with the other than that 1968 was about the last time Kris Kristofferson had work. 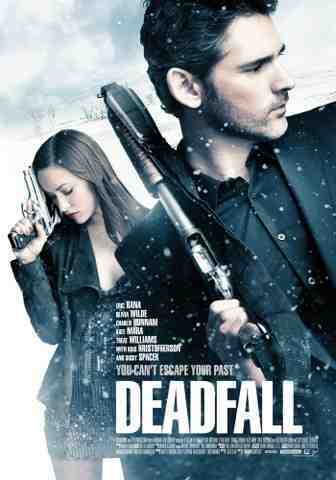 Instead, this one features Eric Bana as a robber with a fantastically hot sister played by Olivia Wilde. Olivia and her on screen love, played by Charlie Hunnam (you may remember him as Jax from Sons of Anarchy) really take up more screen time than Eric. I've never been overly impressed with Eric's American accent, and its on full display here, so I guess less screen time is probably better.. 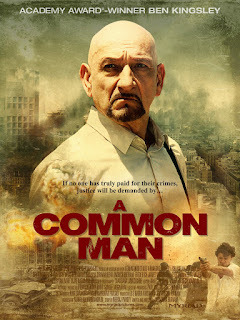 When Sir Ben Kingsley furrows his brow, his whole head furrows. And he is quite furrowing in this movie. I took a glance at the Wikipedia article on this movie to see where it was filmed, and it's pretty clear that the Wikipedia article was written by someone who worked on the movie, someone promoting the movie, or someone who only had access to press materials released with the movie. It was, incidentally, filmed in Sri Lanka. Ben is a magnificent actor. That is the high point of this movie. 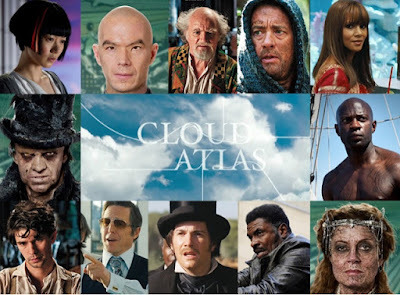 The other actors are a horrific blend of overacting, underacting, and mild apathy about their roles. From the police chief who is - at best - wooden in his performance to the minister's aid who can't be bothered, there isn't another good actor in the bunch. Even the action scenes appear to have been done with guys who happened to be hanging out at the back of the film lot at the time. Arnold is back. Should he be? Look, existential questions are better left by the side of the road when it comes to Schwarzenegger movies. Arnold plays a small town sheriff who finds himself in an untenable situation with a madman evildoer driving a one-off version of the Corvette ZR-1. At one point, the comment is made that the standard ZR-1 has 700HP, but THIS one has over a thousand. After all, it's a show car. Wait...show cars sometimes don't even have engines; why would this one be bumped up in power? Anyway, actual acting talent is provided by Forrest Whitaker. He's the FBI agent who was responsible for the big bad guy when he broke out of custody on the day he was to be executed. Why was the FBI dealing with a prisoner? Why was he being moved outside the facility? Umm...shut up. Brewed in Music City (Nashville, TN), the name Gerst seems to imply a certain heritage, but I don't know it off the top of my head. So, I decided to look it up. Their web page, which is inexplicably GeekFrat.com, Declares that the beer is...um... "Under Construction." Seriously? Do people still use the "under construction" pages while they are building out a site? You can whip up a site in a couple of hours if all you want is brochureware. Okay, they are a beer company (apparently Gerst has been around Nashville for a long while) that produces a few beers, and this is one of them. So, I can't give them that much of a hassle for not having a good digital presence. Maybe Yazoo has more on their site, but I can't be bothered to look 'em up. The thing you have to watch for with something playfully named after something closely associated with hippies is that they try to be wacky, nutty, and out-there. As a result, they add stuff that doesn't need to be in beer at all. "How wacky and awesome is it to add jalapeños to beer, huh? Aren't we thinking out side the box?" This dry-hopped beer is a hazy copper color. The head is moderate, and it dissipate slowly to a thin crown and stays. 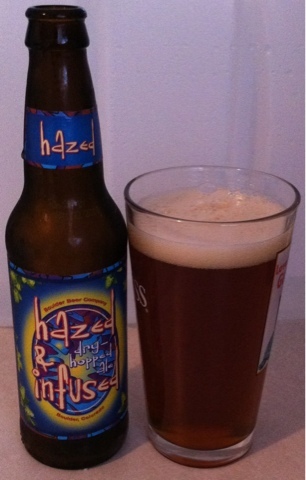 The aroma is very hoppy with a hint of floral. There's definitely a sweet malt in the aroma as well, but its hidden well under the hops. First impression is that it's very smooth. It's got the hop taste, and it successfully dissipates most of the bite. If you let it linger in your mouth, the bite from the hops will become more pronounced. It isn't particularly pleasant, so I'm not doing that again. Instead, I'm going in for the whole gulp. Do you remember when the environmentalists used to be against nuclear power? It wasn't necessary to have alternative sources of energy in mind, after all, oil was fitting the bill, and coal is great, isn't it? Well, this movie brings back all those perspectives. 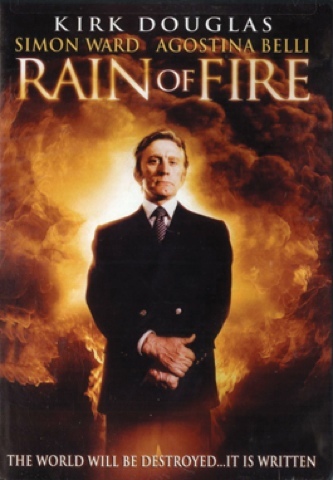 In this movie, also known as Holocaust 2000, Kirk Douglas is a millionaire who is spearheading nuclear power plant that will be built in an unnamed third world country. 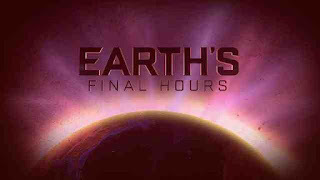 Right from the start, we are thrust into what is clearly the build-up for a biblical apocalypse. Everyone who stands in the way of this juggernaught meets with a horrible end, as it is clearly divine provenance that the plant be built to destroy the world. This is best classified as a pale lager. I'm guessing by the look, really, as the whole label is in Lithuanian. Is Lithuania known for their beer? According to the brewery info, they claim to be in a part of Lithuania known as "beer country," so I guess they at least want it to be famous for the beer. From now on, the area around my house is known as "The Bat Cave." Really, it's only known as that by me, but I can claim that it is known as it. The pour is a cloudy copper/straw with a head that dissipates in time to a thin, partial layer of foam. The aroma is very lager - lots of malt. I might almost mistake the smell for that of a domestic lager. And by that, I mean one of the mass-produced ones like MGD.